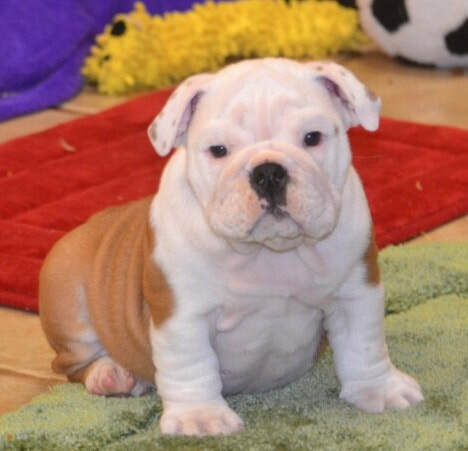 In March of 1979 a group of Oklahoma Bulldog enthusiasts began meeting formally to exchange ideas and informaiton on showing, breeding and to discuss the care of Bulldog. They drew up a constitution, by-laws and elected officers to become a Bulldog Specialty Club for the Oklahoma City area. They held meetings at different member's homes each month and held yard sales and various fund raisers in an effort to raise necessary money. 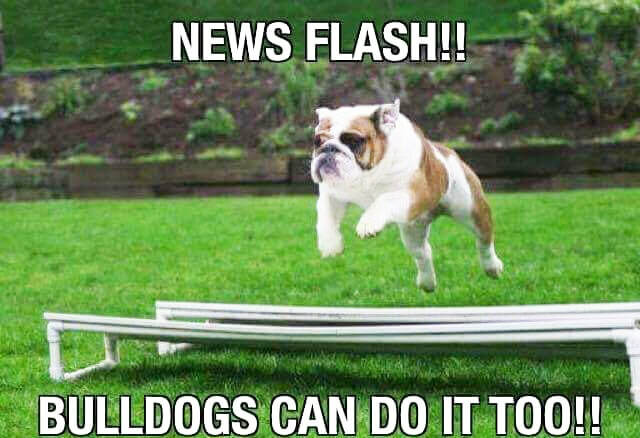 The Oklahoma City Bulldog Club applied to the American Kennel Club for approval to become sanctioned on February 7, 1980. The club was granted approval to hold an informal "B" Match on February 12, 1984 at the Moore Community Center. The judge was CD Richardson of Sedgewick, Kansas. He judged an entry of 38 dogs. In April of 1984, The Oklahoma City Bulldog Club received word it had been granted formal "A" Match status.The club's first "A" Match was held September 15, 1984. Mr Hinds Poth judged an entry of 44 dogs. The match secretary was Pat Franks. The club's second "A" Match was held March 16, 1985, in the Moore Community Center. Chairman for the event was Bob Klopfenstein and Mr CD Carter judged. The approval from the AKC to hold licensed specialty shows came in October of 1985 and the rest is history. Charter members were: Mr & Mrs. James Armstrong, Mr & Mrs Rod Berger, DR & Mrs Jack Brown, Mr & Mrs Kay Bunger, Mr & Mrs Frank Cobb, Mr & Mrs Jack Harrel, Mr & Mrs James Hammond, Bill & Pam Winblood, Mr & Mrs Lloyd Sayles, Mr & Mrs Walt Stammer, Rr & Mrs Blob Klopfenstein, Liddia Johnson, Janet Tudor, Eileen & Dannie Hoskins and Mr & Mrs Scott Smith. 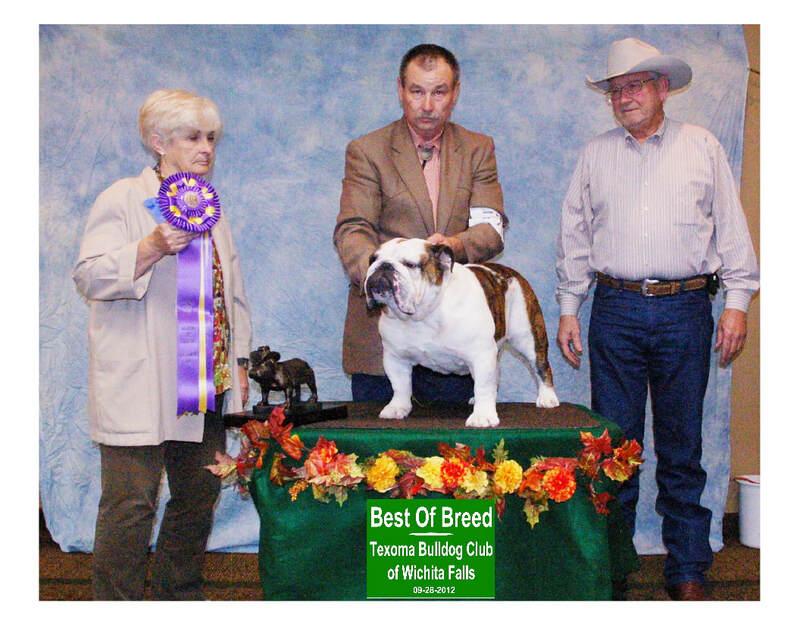 To urge members and breeders to accept the standard of the breed as approved by the American Kennel Club as the only standard of excellence by which BULLDOGS shall be judged. To do all in its power to protect and advance the interests of the breed by encouraging sportsmanlike competition at dog shows. To conduct sanctioned and licensed specialty shows under the rules of the American Kennel Club.